Wait! Now there is a way for you to become Marvel comics superhero without having to sew your own suit made of spandex! 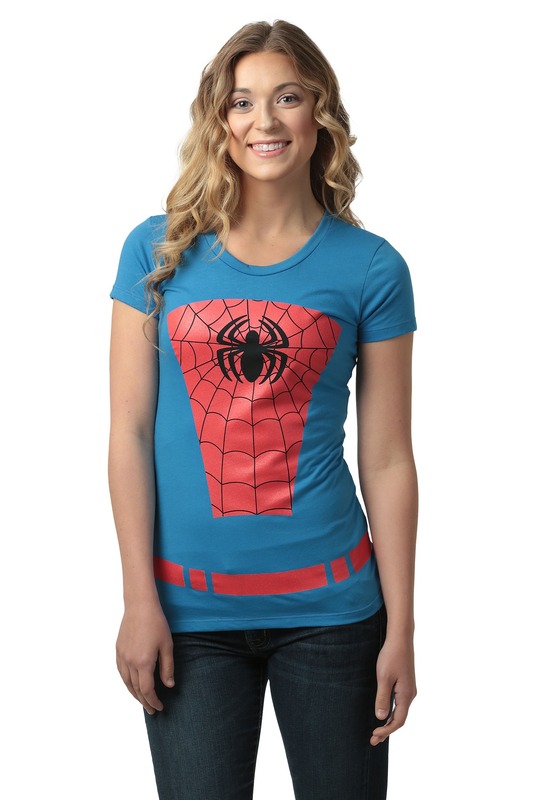 This Women's Belted Spider-Man Costume T-Shirt is made of a comfortable polyester and cotton blend, so it feels good to wear whether you plan on taking down a deadly super villain like Doctor Octopus, or if you just plan on chilling with your friends at the mall. 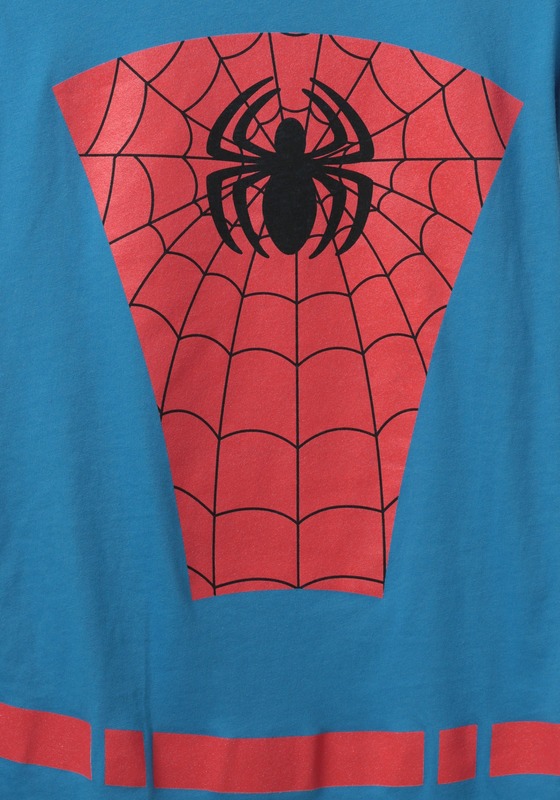 Since it has Spidey's signature costume printed on the front and back, you'll feel like a hero no matter what you plan on doing in it!